The DevOps Architect will drive effective delivery of product/platform needs through developing high quality software and technical solutions. Fluent across the full stack and coaches junior developers to promote a flexible mindset and develop technical competence. We are a growing and dynamic company. Our team has grown by more than 500% in the last 3 years! We create solutions for some of the best companies in the world. We are a small team and you will work closely with different groups. 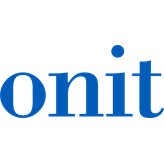 More jobs at Onit, Inc.
Want to get notified about new jobs at Onit, Inc. ? Senior DevOps Architect (AWS) at Onit, Inc.